Established in 1987, the Faversham Assistance Centre (FACE) is a non-denominational Church based organisation offering practical help to elderly/severly disabled on low income both inside and outside the home. FACE want vulnerable people to be as comfortable as possible in their own homes without worrying about their over grown garden, or a room that needs decorating. The work is carried out on a 'you purchase the materials - we provide the labour' basis. 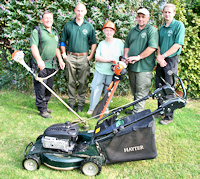 We have our own gardening equipment and any any other tools required. We assist those who have no one else to turn to for help and who cannot do the work themselves by reason of age or infirmity. After initial contact we visit the home/garden to assess whether we can help and to estimate the time it is likely to take. All FACE staff carry identity cards. 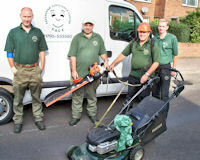 FACE do not claim to be professionals but a high standard of work and courtesy is provided. If the work is too big or requires qualified tradespersons we must decline it but can recommend professionals who can help. FACE try to do the best we can for all who seek our help. If it is important to you then it is important to us. Although we do not charge, in order for us to continue with our work we are grateful for any donations we receive.